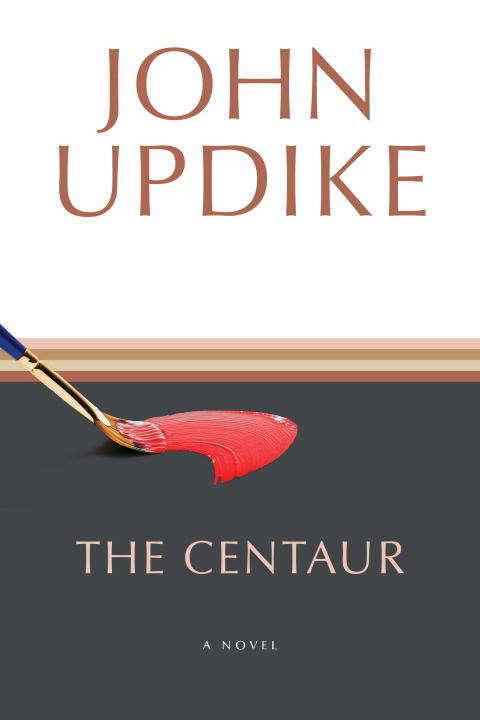 WINNER OF THE NATIONAL BOOK AWARD AND THE PRIX DU MEILLEUR LIVRE ÉTRANGER The Centaur is a modern retelling of the legend of Chiron, the noblest and wisest of the centaurs, who, painfully wounded yet unable to die, gave up his immortality on behalf of Prometheus. In the retelling, Olympus becomes small-town Olinger High School; Chiron is George Caldwell, a science teacher there; and Prometheus is Caldwell's fifteen-year-old son, Peter. Brilliantly conflating the author's remembered past with tales from Greek mythology, John Updike translates Chiron's agonized search for relief into the incidents and accidents of three winter days spent in rural Pennsylvania in 1947. The result, said the judges of the National Book Award, is "a courageous and brilliant account of a conflict in gifts between an inarticulate American father and his highly articulate son."